ZIARAT: Six members of a family, including five children, were killed after rockslide hit a house in Zindah Pir Kali Syed Abad area of Ziarat in the wee hours of Monday. According to Deputy Commissioner Azim Jan Dumar, a woman and her five children were killed when a rockslide hit their house in Zinda Pir area. However, he said a two-year-old girl was luckily unhurt in the incident. Soon after the incident, rescue teams reached the site and began rescue operations, retrieving six bodies from the debris. The deceased have been identified as Qadeer, Ayub, Baseer, Naseeb and their mother, Bibi Hajra. The bodies were shifted to a nearby hospital. Fifteen people have been killed by the landslide in Xiangning Mountain, Shanxi Province, and five are still missing. Linfen, China-Singapore Network, March 19, by 8 a.m. on March 19, three more bodies of the victims were found at the site of the landslide in Xiangningshan, Shanxi Province. At present, a total of 13 people have been rescued, 15 people have been killed and 5 have lost contact. Ten of the 15 victimsbodies have been claimed by their families, and the remaining five are undergoing DNA matching. 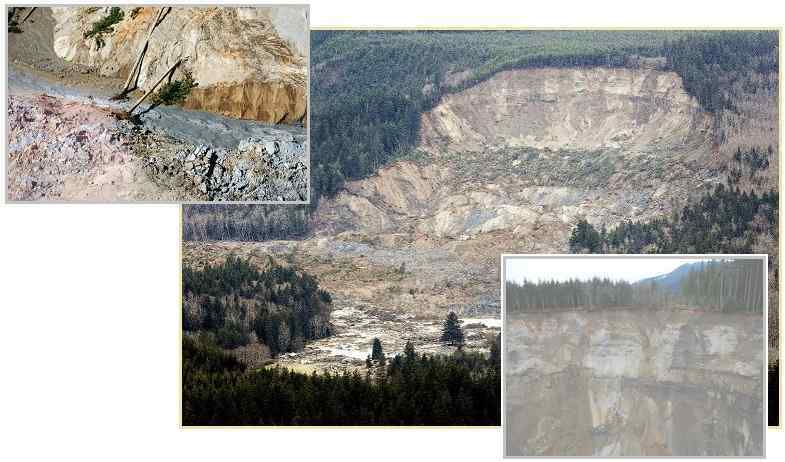 The geological monitoring of several key search and rescue areas in the landslide site is normal, and the search and rescue are still in progress. At about 18:10 on March 15, a landslide occurred on the north side of Zaoling Township Health Center in Xiangning County, Linfen City, Shanxi Province, causing the collapse of a family building (6 families) and a simple house, a family building of a credit cooperative (8 families) and a small bathing center. Two women and a dog were caught in a landslide on a cliff at Fort Funston Friday afternoon. One woman and the dog were immediately rescued, and the second woman, said to be in her twenties, remains missing. Update: The missing woman remains unfound as of Sunday morning, and rescuers now fear that her remains could have washed out to sea along with piles of debris on the beach, during multiple high tides since Friday. The rescue mission became a recovery mission at 6 p.m. Friday night, as CBS SF reports, after the woman was presumed to have spent over three hours underneath the dirt. San Francisco Fire Department rescuers reportedly added a boat to the search effort Saturday because tidewaters overnight may have washed away the pile of sand the woman was buried in. The two women were reportedly trying to climb up the sand cliff around 2:30 p.m. Friday when it collapsed, and the rescue operation began at 2:40 p.m.
SF fire crews continue to search for the person believed to be buried under a massive amount of sand at Fort Funston. It's been more than two hours since the slide. One woman was rescued. As KTVU reports, 65 workers and several dogs were part of the search effort, and cadaver dogs were called in later in the evening. San Francisco Fire Department spokesperson Lt. Jonathan Baxter tells the Chronicle that the two women were seen by bystanders about halfway up the 80-foot cliff when the ground gave way. Bystanders were able to quickly find and rescue one woman and the dog, and she was taken to the hospital with non-life-threatening injuries. The search for the second woman resumed Saturday, and Baxter says, "The likelihood that this is going to be a survivable incident is very unlikely." PITTSBURGH (AP) — Crews were on the scene of a house collapse in Pittsburgh Friday morning. No injuries were reported, and officials haven’t said if anyone was home when the house collapsed. NBC affiliate WPXI, reports the collapse happened on Semicir Street. Authorities later confirmed the collapse was caused by a landslide. Video of the scene shows a ravine between the street and the front lawn of the home. According to local reports, that road has had issues from landslides before. Several homes were condemned after a landslide in 2018. HAWKINS COUNTY, Tenn. (WJHL) - A landslide in Hawkins County on State Route 70 left one person dead and one injured. According to the Tennessee Highway Patrol Steven Lawson, 62, died. He was in one of the two cars swept away by the landslide. The landslide happened in the early hours of morning on Thursday. Residents in the Hawkins County area express they were shocked when they first heard of it. "I guess it was one of those thing that you see that in California, but you'd never expect that here in Hawkins County that you would wake up one day and just realize that they would have to be evacuated from their homes because of something like a landslide," said Avery Fields, a Hawkins county resident. At least three families were asked to evacuate and emergency responders say they're still worried about what is yet to come. "Right now all the mountain ranges we have we are concerned about," said Gary Murrell, Hawkins County EMA Director. "We actually thought this morning that the slide wasn't gonna be there. We thought it would be at the next curve but it was not there." One resident, Millard Hartley, has lived in the Rogersville area for over twenty five years. He has farmland on the other side of the State Route 70 landslide and is concerned the rain might make things worse. "We've lived over here since 1993 and I have not seen it this wet in a long time," Hartley said. Hartley also says he knew Steven Lawson's family and is devastated by the tragedy. "I didn't know Steve, said Hartley. "I knew his family. They are good family oriented people and I'm just sorry this happened." According to the Tennessee Department of Transportation, the road will be closed long term. 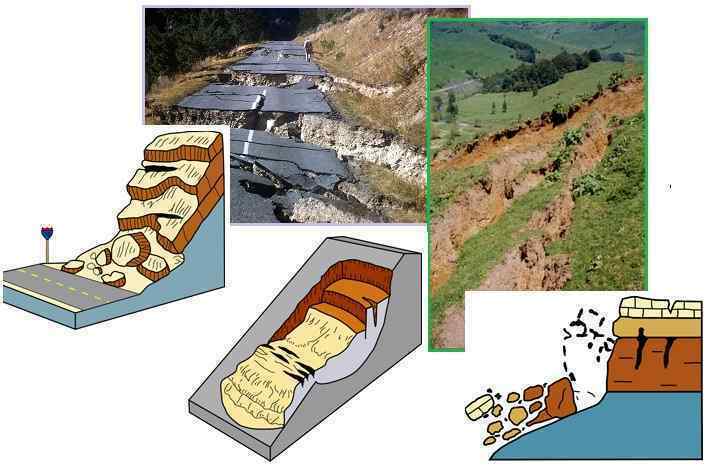 Related: Why Jammu-Srinagar Highway Is So Landslide Prone? Srinagar: Fresh landslides at some places in Banihal on Monday blocked the vehicular movement on Srinagar-Jammu highway. A commuter said that the landslides have occurred at some places in Banihal blocking the traffic movement. Although the highway was restored for light motor vehicles on Monday after remaining suspended for six consecutive days due to landslides, witnesses said that a paramilitary CRPF convoy comprising of dozens of vehicles led to massive jams on the highway. On Sunday the Traffic department had announced that the highway will be opened for light motor vehicles from Jammu to Srinagar. A landslide that occurred at Hindung in Ruby Valley-4, Dhading, on Sunday morning trapped two cattle herders and around 200 cattle inside a cave. Police identified the herders as Dhan Bahadur Tamang, 18, and NurbuTamang, 42. According to the locals, the duo had moved their cattle to a nearby cave after heavy snowfalls. They, along with the cattle, were inside the cave when it got buried by the landslide. The incident site is a five-hour-walk from Sertung Police Post. Assistant Chief District Officer Dholak Raj Dhakal reached the incident site to inspect the area. Dhakal said locals and police personnel could not remove the landslide debris. “Large boulders have blocked the cave’s entrance,” said Dhakal. Chief District Officer Bhagirath Panday said they are preparing to send a team of Armed Police Force with explosives to blast the boulders on Monday. The District Security Committee has also asked the Ministry of Home Affairs to charter a helicopter for rescue operation. A six-meter cliff mudslide struck a home in the village of Ban, Karangasem, last night, resulting in the death of two family members and the injury of a further 12. The house, which belonged to I Nengah Suarta, was crowded at the time of the accident because relatives had come to visit a sick family member, according to an article by Kumparan. The whole group were reportedly watching television together when debris from the landslide collided with the residence at around 7pm. With most of the party trapped inside, Suarta’s son, I Komang Andre, was somehow able to find a way out. Andre immediately sought the help of neighbors, and authorities were soon called to the scene. The evacuation effort was carried out by a joint team that included village officials, personnel from the Regional Disaster Mitigation Agency (BPBD), Kubu Police, and Karangasem search and rescue (SAR) teams. By 11pm, all of the victims were evacuated and taken to the nearby Kubu Health Center for treatment. Among them were three toddlers and a pregnant woman with injuries to the legs and face, according to information from the BPBD cited by Kumparan. Sadly, two people, namely Ni Ketut Puspa, 20, and Ni Ketut Martini, 19, could not be saved. Puspa reportedly died on the scene while the younger woman passed away at the health center.